When you're tight on time, what better way to simplify life than prepping your meals in advance. Then during the week simply cook your pre-prepared recipes, and enjoy without all the muss and fuss of time consuming food prep. Chicken works well as a protein in just about any dish. Try this mouth watering marinated chicken recipe if you're a grilling enthusiast. Combine vinegar, salt, garlic, red pepper flakes and shallot in a small bowl. Stir in oregano, parsley and cilantro. Add in oil, and whisk mixture. 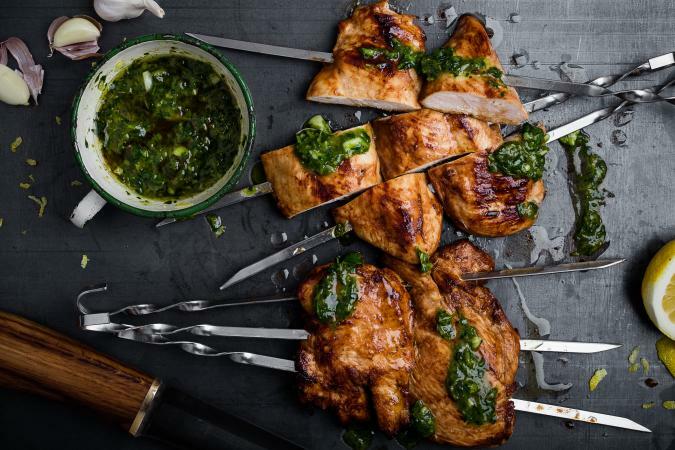 Place chicken in a large freezer safe container (or several smaller containers), and coat with your chimichurri marinade. Freeze chicken until you're ready to grill it. To thaw chicken, place it in the fridge a day before cooking it. Grill marinated chicken on medium-high heat for about 3 to 6 minutes on each side. Serve with additional chimichurri sauce, side salad, and mixed fruit cocktail. 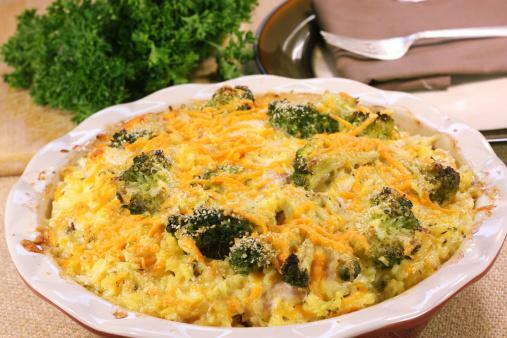 You can easily freeze this delicious dish, and bake it later in the week! Put a layer of tater tots on the bottom of a greased 9 X 13 baking dish. In a large bowl, mix together all remaining ingredients except 1 cup of cheese. Pour mixture over the tator tots. Cover and freeze until you're ready to bake it. Thaw in the fridge the day before. Bake in the oven at 375 degrees for 45 minutes. Serve with a Caesar salad. 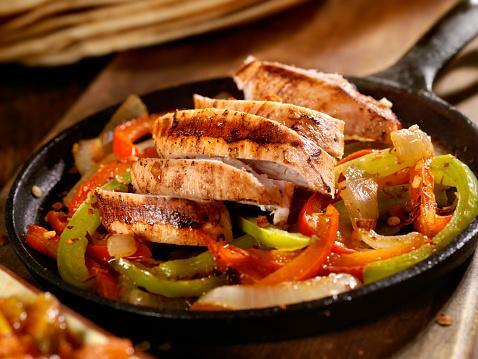 Prep and marinate your chicken fajitas ahead of time, and when you're right on time simply cook it and serve! Combine oil, lemon juice and seasonings. Place marinade mixture with chicken in an airtight freezer container, and freeze until you're ready to cook it. Thaw the day before in the fridge. Sautee marinated chicken (until brown -- about 5 to 10 minutes) with red pepper, green peppers, onions and canola oil. Serve with six to eight flour tortillas, sour cream, guacamole, salsa and shredded cheese. Mexican rice makes a delicious side. Whether you're cooking for your friends, spouse or your kids, this flavorful recipe is sure to be a hit. Marinate chicken in pesto sauce in an airtight container. Place in the freezer until you're ready to grill. Thaw the day before in the fridge for 24 hours. Grill marinated chicken over medium-high heat for about 3 to 6 minutes on each side (or bake in the oven at at 375 degrees for 20 to 30 minutes). 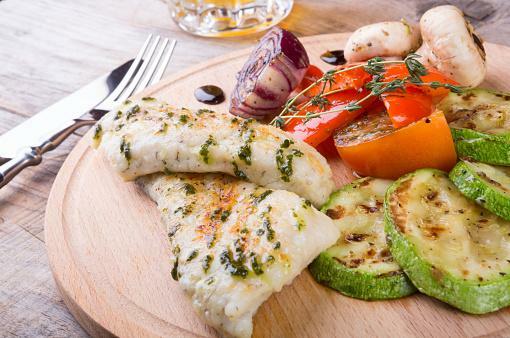 Serve with grilled veggies like zucchini and tomatoes. Try this mouth-watering chicken recipe when you're in the mood for something sweet. 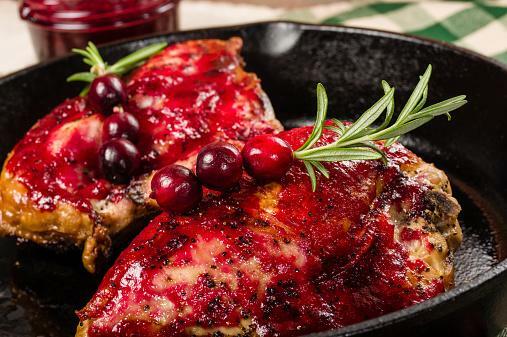 Mix together oil, vinegar, honey, cranberry sauce, salt and pepper to use as your marinade. Place chicken in marinade mixture, and put in an airtight container in the freezer. Thaw a day ahead of time. Place marinated chicken in an oven-safe skillet, saving marinade. Bake at 375 degrees for 20 to 30 minutes. Baste with additional marinade about halfway through cooking time. Garnish with rosemary sprigs and cranberries. Serve with homemade cornbread stuffing. When you're in the mood for a uniquely flavored marinated chicken recipe you can prep ahead of time, consider this avocado buttermilk chicken recipe. Blend all ingredients (except chicken) in a food processor to make your marinade. Place chicken and marinade in an airtight freezer-safe container, and place in the freezer. Thaw for a day in the refridgerator. Place marinated chicken in a 9 X 13 baking dish, and bake at 375 degrees for 20 to 30 minutes. 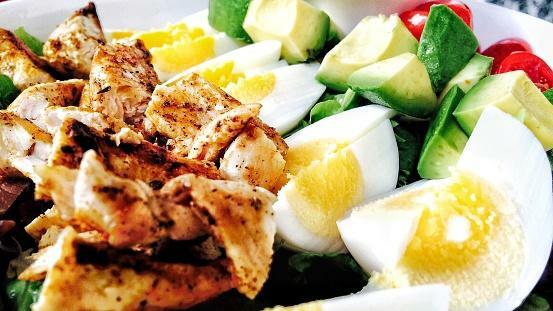 Serve with avocado slices and hard-boiled eggs on top of your favorite fresh veggie salad. Chicken is one of the best sources of lean protein you'll find, and it can be frozen for up to 9 months before thawing! That's what makes simple chicken prep recipes the perfect option when you're on the go and tight on time during work weeks. How to Roast Pumpkin Seeds By Erin Coleman, R.D., L.D.